Jack Milne assumed the role of Jackson Academy Head of School January 1. 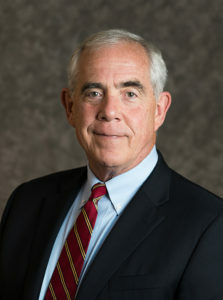 Jack came to JA on June 1 as Vice-President and Dean of School. Over the summer, he was named Head of School by the Board of Trustees following the announcement that former Head Cliff Kling had accepted an offer to lead the Gulliver Schools in Coral Gables, Florida.